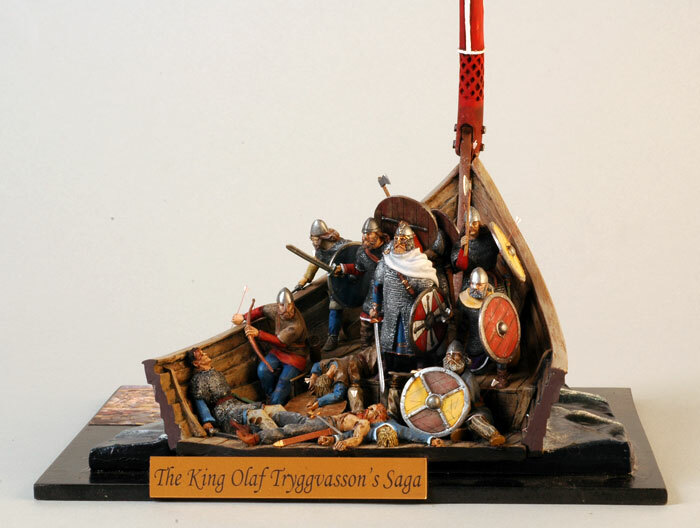 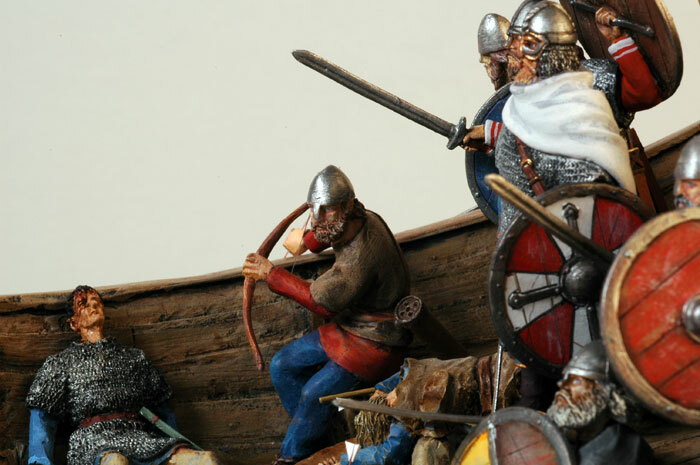 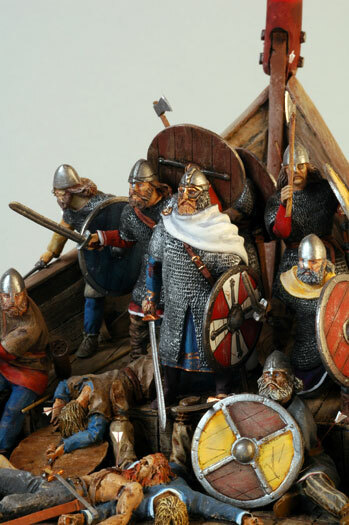 Here is Brian Thewlis' 54mm diorama, "King Olaf Tryggvasson Saga". 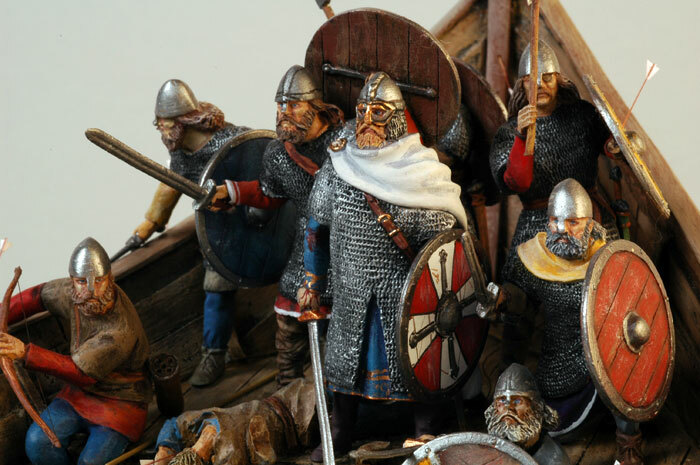 The diorama is produced by El Viejo Dragon. 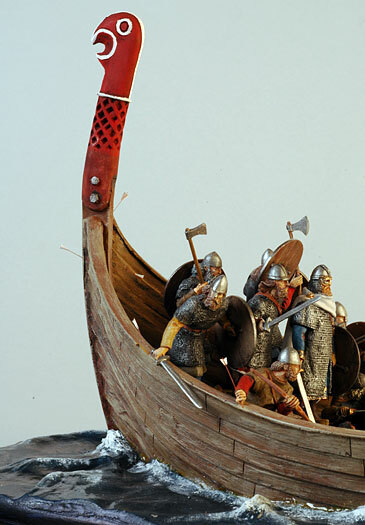 The photo was taken with a Nikon D70 digital camera fitted with a 24-120mm VR lens. 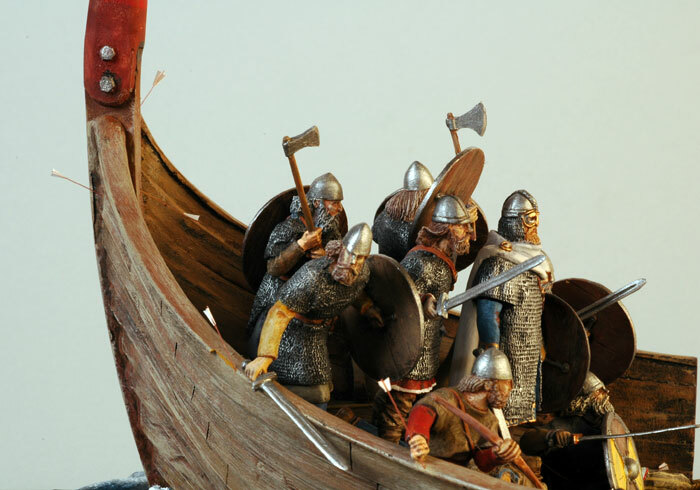 The camera was set to Aperture Priority, with the aperture at F.32. 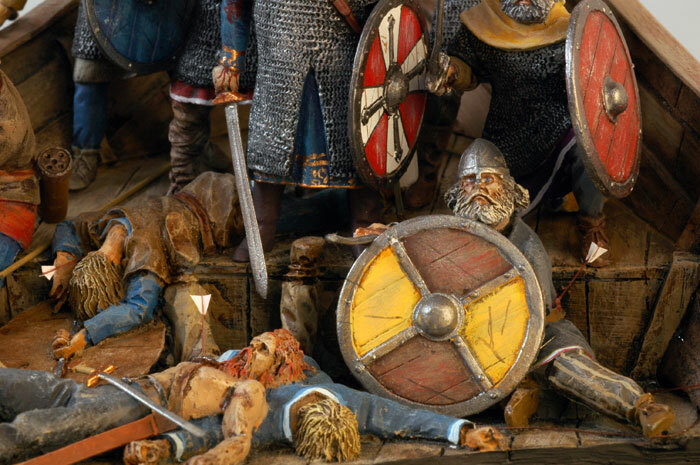 This diorama was Commended in the "Single Model Dioramas - All Scales" category at the recent Melbourne Model Expo 2005.